French cloud gaming start-up Blade is bringing its Shadow service to the United States later this year, offering users access to a high-end gaming PC configuration over the Internet for a monthly fee. The service, hosted in Equinix data centers, will launch in California in mid-February, and roll out to the rest of the continental United States in summer 2018. Blade turned to French manufacturer 2CRSI for custom servers, with four GPUs per rack. “Our goal is to conquer the world and change the way people use computers for sure,” Emmanuel Freund, cofounder and president of Blade, told Venturebeat last December. So far, Blade has raised $84 million in venture capital funding and opened a small Palo Alto office. 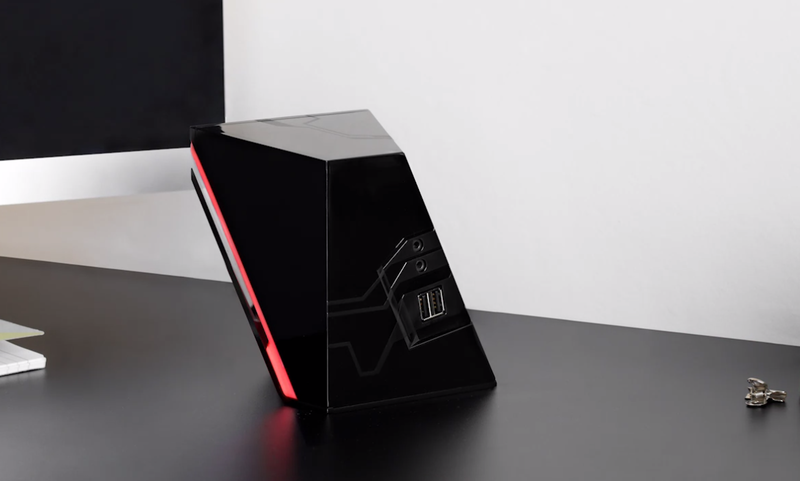 Shadow gives users control over a Windows 10 PC in the cloud, which can be used to run anything a Windows 10 PC can run, but Blade is currently targeting the gaming market and customers who are more likely to need a powerful, expensive machine. Instead of building or purchasing their own setup, Blade believes gamers will be willing to pay between $34.95 and $49.95 a month for a cloud system, which they say will see regular hardware upgrades. At the moment, the service offers access to an Intel Xeon server processor equivalent to a Core i7, 12GB of RAM and 256GB of storage space, and an unspecified Nvidia GPU. Last year, Techcrunch suggested that it would involve a mix of GeForce GTX 1080 and Quadro P5000 at first, so it is unclear if Nvidia’s recent efforts to ban GeForce from the data center will impact Blade. The company has slowly released the product in small batches after launching in July 2016 in France, where it has several thousand users. Blade aims to have 100,000 users by the end of the year. Shadow follows several failed attempts to offer cloud gaming as a service. OnLive was one of the first to try and allow gamers to play games using data center hardware, starting in 2010. While the company was at one point valued at $1.8 billion, high costs and a lack of customers led to the company collapsing and selling off its assets for just $4.8 million. The relaunched OnLive continued to struggle, and eventually sold most of its assets to Sony Entertainment in 2015. Another company in this space is LiquidSky, which last year launched in nine countries. Since then, it left India, Japan, South Korea, Australia and Mexico due to low adoption, but still exists in the US, UK, Germany and Hong Kong. Larger companies have also seen limited success. Nvidia launched GeForce Now last year, but the service remains in beta despite plans to officially launch in 2017. Back in 2012, Sony Entertainment bought cloud gaming company Gaikai for $380 million, relaunching it two years later as PlayStation Now - a way to play PS3 games in the cloud. Its hard to gauge the success of the platform - Sony is coy on figures and previously declined to talk to DCD about its user base. Last year, the company discontinued PS Now on a plethora of platforms, including the PS3, PS Vita, PlayStation TV, and all supported smart TVs and Blu-ray players. Today, it is only available on PS4 and PC.